I’ve had this stuck in my head (in a good way) since @isaack-trigueros shared a little post about being inspired and trying out their own wallpapers. 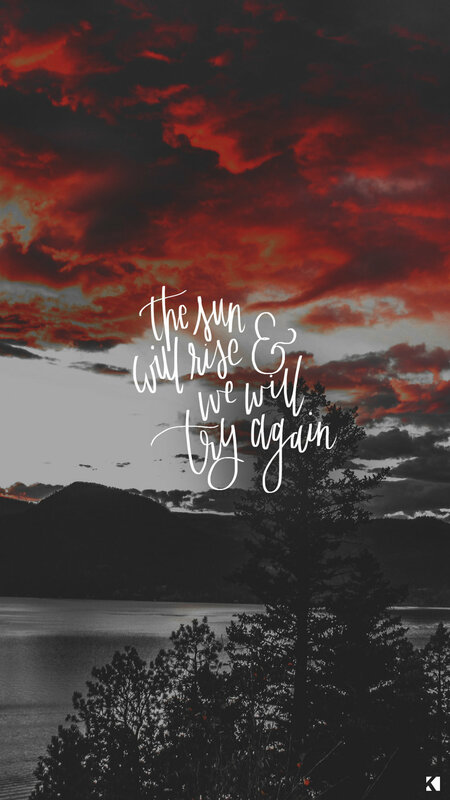 So here I am doing them with some old sunset photos (heavily edited because I’m a drama queen) and some scribbly handwriting. And on a similar note, if you ever feel like I’ve ignored you when you’ve tried reaching out to me - I’m sorry! Those aren’t my intentions. I try to answer as many things as I can but I’m no superhero. You’re not bothering me when you tag me in things or send me messages. Demand my attention, I don’t mind at all. If I don’t respond, hit me up again because I probably read it while I was on the go and didn’t get a chance to reply and then a bunch more notifications popped up. Email is always a good way to get a hold of me because I use it for work. If you just want to chat, send me a message however you’d like: instagram or twitter or here on tumblr.